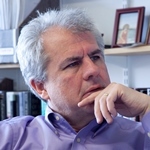 Lant Pritchett is Professor of the Practice of International Development at the Kennedy School of Government at Harvard University (USA), and RISE Research Director at the Blavatnik School of Government, University of Oxford. Lant’s research covers an extensive range of topics, including economic growth, education, poverty, demography and development assistance. He is currently working on ESID’s project on the political economy determinants of economic growth. Kar, S., Pritchett, L., Raihan, S. and Sen, K. (2013). The Dynamics of Economic Growth: A Visual Handbook of Growth Rates, Regimes, Transitions and Volatility. ESID: Manchester. Sen, K., Pritchett, L., Kar, S. and Raihan, S. (2016). ‘Democracy versus dictatorship? The political determinants of growth episodes‘, ESID Working Paper No. 70. Manchester. Pritchett, L., Sen, K., Kar, S. and Raihan, S. (2013). ‘Trillions gained and lost. Estimating the magnitute of growth episodes‘. ESID Working Paper No. 26. Manchester. [Also published as HKS Faculty Research Working Paper Series RWP14-016]. Pritchett, L. and Werker, E. (2012). ‘Developing the guts of a GUT (Grand Unified Theory): elite commitment and inclusive growth‘ ESID Working Paper No. 16. Manchester. Pritchett, L., Sen, K. and Werker, E. (2017). Deals and Development: The Political Dynamics of Growth Episodes. Oxford University Press. Pritchett, L. (2015). ‘The majority of the world’s children are in school. So why aren’t they learning?‘ The Guardian, 29 September [reproduced on the ESID blog, 30 November 2015]. Pritchett, L. (2014). ‘The risks to education systems from design mismatch and global isomorphism‘. HKS Faculty Research Working Paper Series RWP14-017. Pritchett, L. and Kenny, C. (2013). ‘Promoting Millennium Development ideals: The risks of defining development down‘. HKS Faculty Research Working Paper Series RWP13-033. Andrews, M., Pritchett, L. and Woolcock, M. (2012). ‘Escaping capability traps through problem-driven iterative adaptation (PDIA)‘. HKS Faculty Research Working Paper Series RWP12-036. Lant is a Senior Fellow of the Center for Global Development, and a Senior Fellow of BREAD (Bureau for Research and Economic Analysis of Development). *Learn more about building state capability.